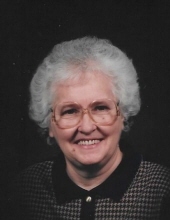 Mrs. Eleanor L. Whitlock, 83, of rural Baylis, Illinois, passed away at 1:40 p.m. Tuesday, August 21, 2018, at the home of her daughter. She was born February 3, 1935, in Derry Township, near Barry, Illinois, to Walter & Esther (Bocking) Schnepf. They preceded her in death. She married Robert Whitlock on February 12, 1955 in Barry, Illinois. He preceded her in death on July 31, 1982. She is survived by 2 sons, Robert Whitlock (Lori) of Baylis, IL and Michael Whitlock of Baylis, IL; 3 daughters, Christine Simmerman (Garry) of Baylis, IL; Dianna Ruble (Jack) of Baylis, IL and Kimberly Motley (David) of Barry, IL; 6 grandsons, Jason Simmerman of Pittsfield, IL; Justin Simmerman of Rockport, IL; Michael Whitlock of Baylis, IL; Ryan Motley of Carbondale, IL; Jack Ruble II of New London, MO; and Larry Allen of Eolia, MO. ; 6 granddaughters, Jayna Verastique of Woodstock, IL; Angela Dixon of Barry, IL; Toni Daniels of Pittsfield, IL; Dianna Allen of Baylis, IL; Rachel Motley of Barry, IL; and Madison White of Baylis; 19 great grandchildren; 1 sister Doris Rennecker (Herb) of Kinderhook, IL. ; and several nieces and nephews. In addition to her husband and her parents she was preceded in death by 3 brothers, Carl Schnepf, Kenneth Schnepf and Gerald Schnepf and 3 sisters, Virginia Woods, Adaline Harrison and Frances Sutton. She was a member of the Barry United Methodist Church. Eleanor loved to sew. She spent her lifetime on the farm raising her family. She raised food in her garden and enjoyed canning and quilting. In her spare time she loved working puzzles and watching her grandkids show animals at the fair. Her favorite activity was spending time with her family. Visitation will be from 5:00 - 8:00 p.m. Friday, August 24, 2018, at the Kirgan Funeral Home in Barry. Funeral services will be at 1:00 p.m. Saturday, August 25, 2018, at the Barry United Methodist Church in Barry. Burial will be in Park Lawn Cemetery in Barry. Memorials are suggested to the Barry United Methodist Church. To send flowers or a remembrance gift to the family of Eleanor L. Whitlock, please visit our Tribute Store. "Email Address" would like to share the life celebration of Eleanor L. Whitlock. Click on the "link" to go to share a favorite memory or leave a condolence message for the family.